Anthem (ANTM) is pulling out of Nevada's Obamacare exchange for 2018 and cutting its presence in Georgia's marketplace roughly in half, the company announced Monday. Carriers have until August 16 to revise their premium requests and until September 27 to sign contracts for 2018. They have grown increasingly jittery over participating in Obamacare amid the uncertainty emanating from Washington D.C., particularly as President Trump's threatens to stop paying a key set of subsidies. The Affordable Care Act market remains too volatile for Anthem's liking, the company said. 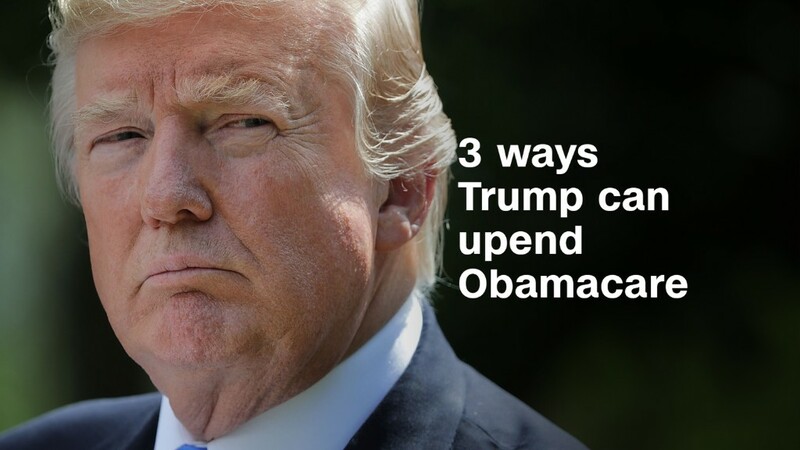 In particular, it is concerned about whether it will continue to receive the Obamacare subsidies that reduce out-of-pocket costs for lower-income consumers. Another factor is the return of a tax on health insurers that had been temporarily suspended. No counties will be left without at least one other insurer. Anthem specifically notes that it is remaining in 85 mostly rural counties in Georgia where it is expected to be the sole carrier in 2018. Anthem, which provides Obamacare polices in 14 states this year, already announced it is withdrawing from Ohio, Indiana and Wisconsin, as well as much of California. Nearly 10,000 residents in 17 counties are at risk for having no Obamacare options next year, according to the Kaiser Family Foundation -- many of them because of Anthem's exit. Anthem's move follows Aetna's decision not to enter the Nevada market. Aetna (AET) had filed to participate in the Silver State, but opted not to go through with it. The carrier announced earlier this year it was pulling out of its four remaining states. In one bright spot for Obamacare, Blue Cross and Blue Shield of North Carolina announced it is reducing its requested 2018 premium increase to 14.1% because its policyholders filed lower-than-expected medical claims in June and July. The company had initially asked for a 22.9% rate hike, much of which is due to the uncertainty surrounding the cost-sharing subsidies. "The individual market in North Carolina has become less volatile," the company said in a blog post last week.